27Boxes is an ultra-hip, boutique shopping experience on Melville’s 4th Avenue. It’s a three-storey architectural triumph comprising 27 stacked shipping containers offering shoppers everything from pop-up to permanent and trend-setting to second hand. 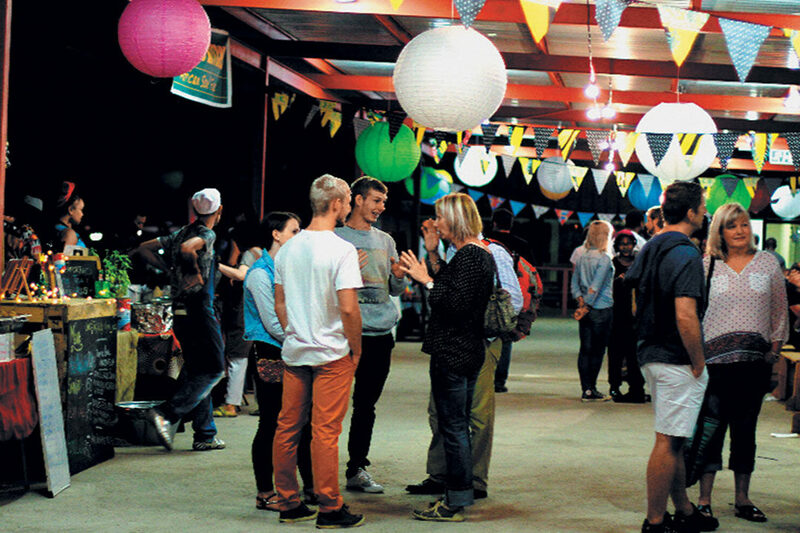 The top floor is uninhabited, allowing for a weekly Wednesday Night Market. The first thing to hit me on entering the market was the real sense of space – great views over Melville, big walkways between stalls and ample seating at pretty tables lining the central stairwell. The market is very much a mirror to the eclectic nature of its surroundings: it’s a little bit hipster and a little bit off-centre, but very inviting and family-orientated. 27Boxes is predominantly food-centric, with a few bespoke handbag- and clothing stores dotted around the periphery. 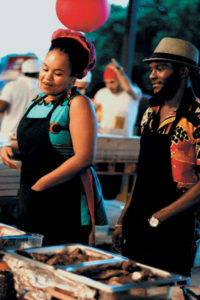 Foodwise, you’ll find the usual assortment of schwarmas, burgers, tacos and cocktails, but you’ll also find an array of wonderfully niche-, authentic- and fusion cuisine. My highlights for the evening were the Neapolitan pizzas from Pilgrim’s Pizza – an ultra-thin crusted centre lathered in thick Napolitana sauce and dotted with mozzarella. We washed that down with ice-cold beers from the bar and moved on to some Sri Lankan cuisine – think wholesome curries made using freshly ground spices (no curry powders) and coconut oil. Chilli Mania had a tiny stall offering authentic Korean fare – pork- and beef dishes served with kimchi, pickles, chilli and lettuce. It’s salty, sour and spicy; very simple, but enchanting. We were quickly charmed by the guy from Dim Sum Fest, serving up Afro-fusion dim sum and a ‘Hong Kong Pear’: mashed potato shaped into a pear and stuffed with curried chicken, which is crumbed and deep-fried to crispy perfection. 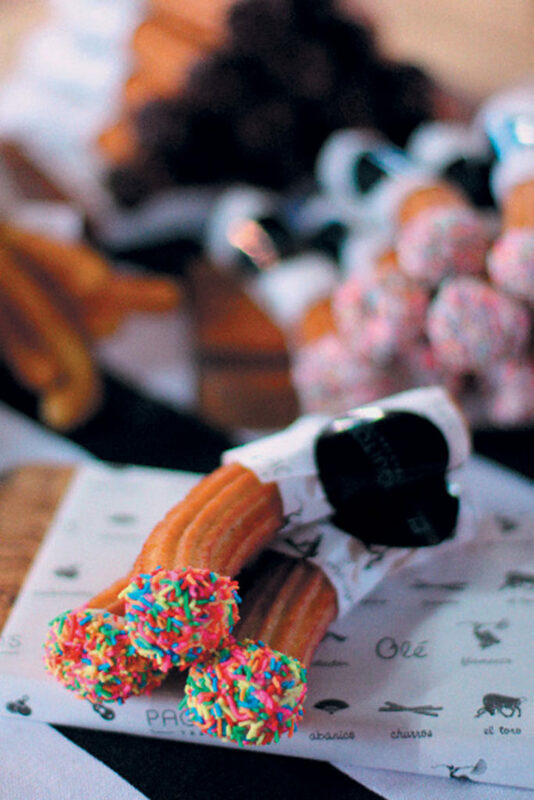 We thought we couldn’t fit in another morsel, but soon stumbled upon Paquito’s Treatery – a snazzy little stall making delectable stuffed churros. Yes, you heard right: decadent churros stuffed with caramel and dipped in chocolate. In many ways, they’re like a doughnut – a ‘chunut’ if you will! These delights were selling like hot cakes and for good reason.